Ever since moving into our own place I’ve become quite obsessed with homeware and finding the perfect pieces for our flat. When the lovely team at Amara contacted me to see whether I’d like to review some of their products I was instantly taken by their beautiful selection of homeware. There is so much to choose from! With Valentine’s Day just around the corner I’m sure you’ll find something for a loved one or to make your day that extra special. I decided to choose products that I thought would work well for a night in on Valentine’s Day. As it falls on a Sunday this year I imagine quite a few couples will opt to stay in on Sunday night. I loved the sound of the Lekue Microwave Fondue Set*. It’s a very innovative concept, you add water to the white base of the product, break chocolate into the different compartments and then place in the microwave for the suggested time. The water in the base helps to keep the chocolate warm for up to an hour which is perfect for a night in indulging. 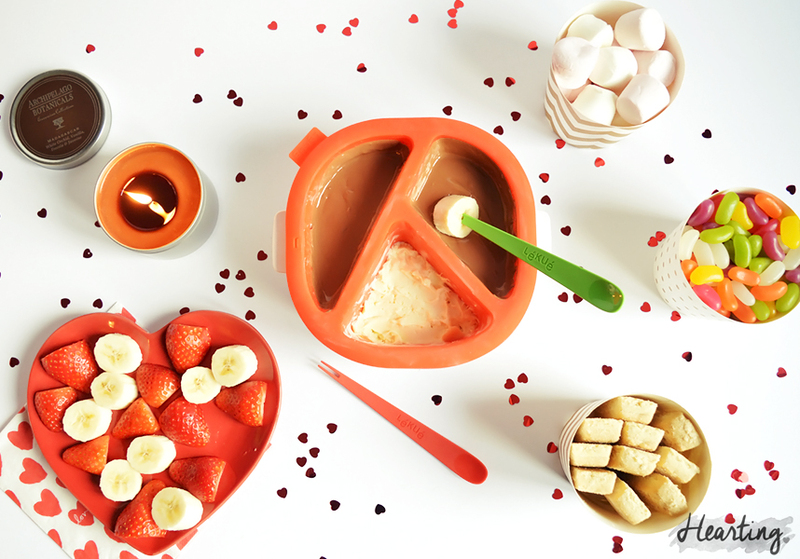 I also really like that it has different chocolate compartments so you could melt different chocolate in each section or if you want a smaller fondue you can just fill one of the sections. 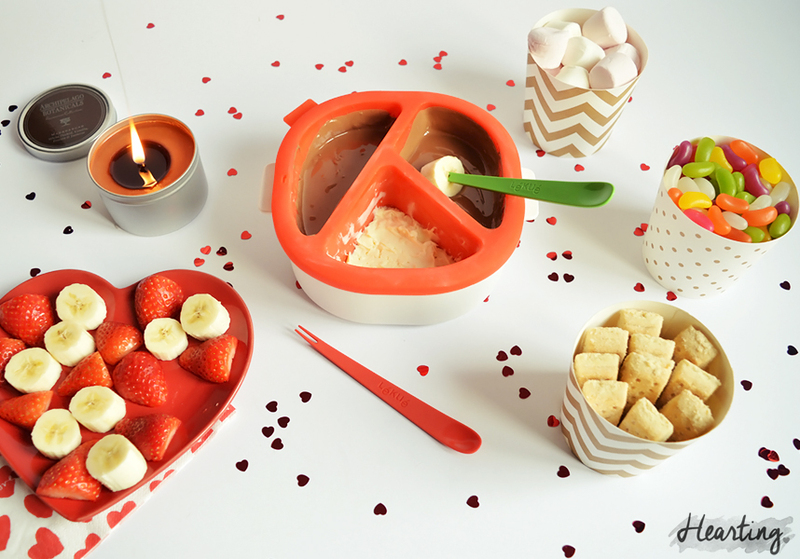 The double ended sporks also work really well to pick up fruit and other treats you may want to dip into the chocolate.The fondue set itself is really well built and also very easy to wash.
How adorable are these Delight Department White & Gold Food Cups*? 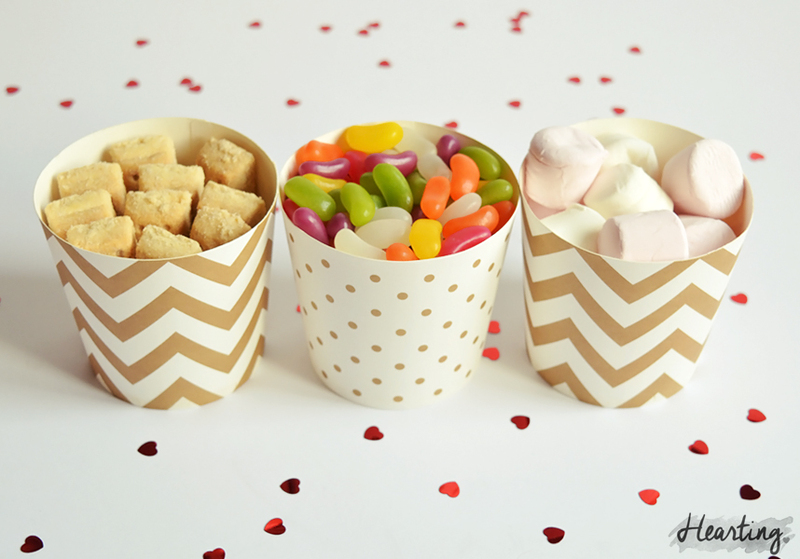 As soon as I spotted these I knew they’d be great for filling with snacks to accompany the fondue. They’re really deep so you can really fit a lot into them. Finally, I chose the Archipelago Botanicals Scented Candle in Madagascar* – because you just can’t have a romantic night in without lighting a candle now, can you? Madagascar is a gorgeous scent of white orchid, vanilla, freesia and jasmine that really fills the room. I’m not a huge fan of overpowering floral scents but this is an absolutely stunning fresh scent. The mister and I are all set for Valentine’s Day! What do you have planned?